Time for the August #BreadBakers challenge! Special thanks to Pavani at Cook's Hideout for selecting this month's theme: Summer Bounty. Bakers were instructed to use fresh summer fruits, vegetables or herbs from our garden or the farmer's market to make any bread to share with the group. Excellent theme, Pavani! 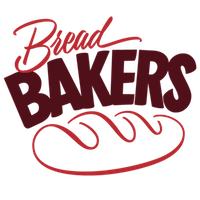 Thank you for such a great theme selection and for hosting this month's #BreadBakers! Summer is in full swing. What better way to celebrate than a twist on Zucchini Bread? I grew up in a small Midwestern town where no one bothered to lock their car. The standard joke during zucchini season was that it was time to start locking your car. If not, your neighbors and friends would place their over abundant zucchini in your car when you weren't looking! We adore zucchini at my house. Our favorite method of preparation is stuffing. Depending on our mood, we will opt for Vegetarian Stuffed Zucchini or Meat-Rice-Tomato Stuffed Zucchini for a great summertime meal. This leaves the inside pulp of the zucchini that I really hate to waste by discarding. Preparing Zucchini Oatmeal Bread is the perfect solution. We get a meal and a bonus sweet treat from our zucchini! This bread is perfect for breakfast, snacking or with an afternoon cup of coffee or tea. I am always 'heavy-handed' (a nickname one of my co-workers gave me a few jobs ago) with the spice. If you aren't as keen on cinnamon as I am, you may want to cut in half. Prepare two 9 x 5" loaf pans with baking spray. In a large bowl, combine flour, oats, sugars, baking powder, baking soda, cinnamon, cloves and salt and mix until well blended. Combine eggs, vegetable oil, buttermilk, shredded zucchini and vanilla. Add wet mixture to dry mixture and combine until just blended. Divide batter between the two loaf pans and bake 45 - 55 minutes or until wooden toothpick or skewer inserted in the center of the loaf comes out clean. Cool on wire rack for 10 minutes, remove from loaf pans and cool completely. Take the time to browse through what these innovative #BreadBakers have developed to celebrate Summer Bounty. I am overly impressed with their creativity! Cali this bread looks so amazingly moist! I would just love a slice with my coffee this morning! That's a funny story about having to lock your cars up during zucchini season. In Texas they just leave them on your front porch and sneak away quietly. :) Your loaves look wonderful and I love the addition of the cinnamon. Yum. 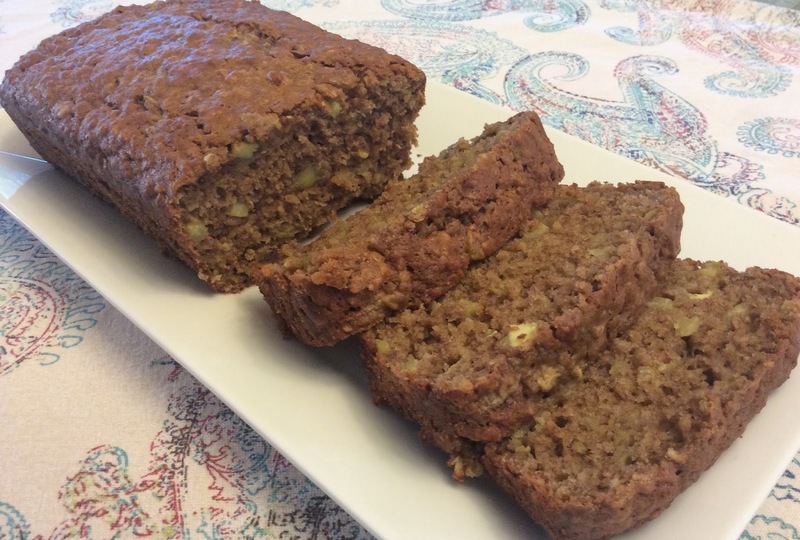 I love zucchini bread - this looks moist and delicious. zucchini bread looks so good. Love to have it with a bit of sour cream. Yum. I adore zucchini bread and yours looks so fabulous with all those warm fall spices!! This bread look very delicious. This looks like a surefire winner here! Great idea using the pulp for your bread. Waste not, want not. I love zucchini bread and yours looks so good! I love the story about locking the cars! I was one of those zucchini gift givers but never in anyone's car! Ha! Now I would just keep them and make this bread! Oh I LOVE zucchini bread! And I love the delicious add in of oats! I will definitely be trying that sometime! Thanks for sharing this delicious bread, Cali! My grandson would LOVE this bread! It looks delicious! Such a fun story! One can never have enough recipes for zucchini! I so love zucchini bread, and that addtion of oatmeal sounds even more intriguing! What a lovely story! Zucchini bread has an amazing color. perfectly baked. that is a lot of cinnamon but I love the super soft texture! I really love quick breads made with zucchini. They are so moist and delicious. This version with the oatmeal adds even more natural goodness! Cali, nice combination of flavors here - I never did add cinnamon to my zucchini bread but I am quiet intrigued and I certainly enjoy the addition of oats to just about every baked good! Nice hearty bread and I can see toasting it for breakfast. Locking the cars for the fear of neighbor's excess zucchini is sooooo funny :-) I wish my zucchini plant finally gives me that 4th zucchini I've been waiting for the past 3 weeks. Zucchini bread sounds very aromatic and delicious. Zucchini oatmeal bread looks amazing.. Delicious and hearty bread..